High quilted hat of cylindrical shape with upturned brims at sides and rear and can serve a fine protection of a woman’s head against the winter cold here in the Himalayan region of Ladakh, at an altitude of 3500 meters above sea level. 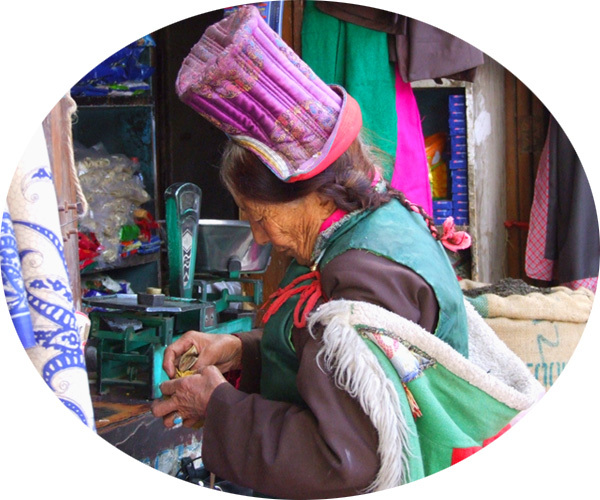 The hat is worn by the Ladakhi people of Tibetan origin who professes Buddhism. This hat usually has a minimum of jewelry and is an every day headwear for residents of rural areas, though it can often be seen in the towns as well. Meanwhile, the second never changing component of the costume of the Goncha women is a long gown of thick woolen cloth with a pleated skirt. 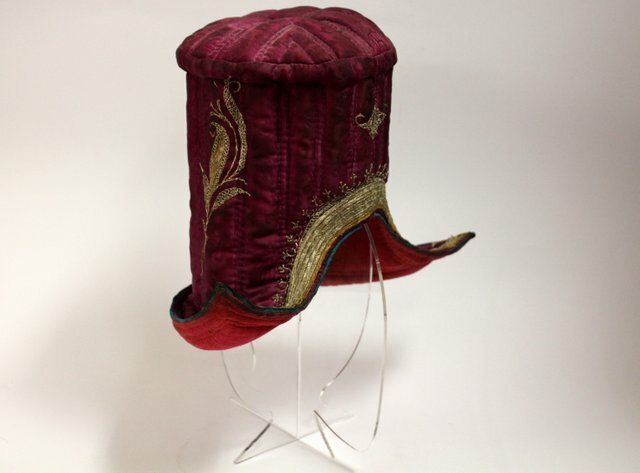 Apparently, this style of hat has genetic roots in Central Asia: the Mongolian winter headwear, especially the shovgor, have a similar shape and similar tailoring material.